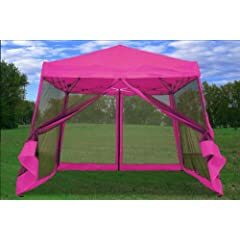 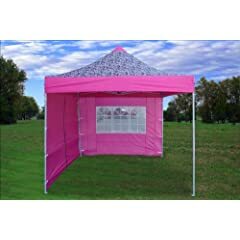 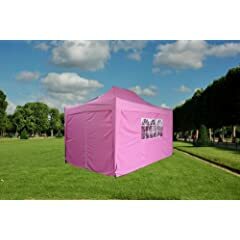 These pink pop up tents are ideal for special functions that you are having, whether, is a girl birthday party, a special social reunion, a Thanksgiving party, Christmas party or even to create a great play area for your daughter. 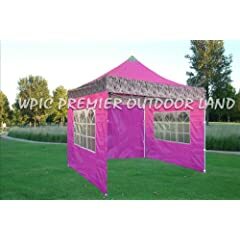 They are cute and great to protect from the weather elements, like strong sun, rain or wind. 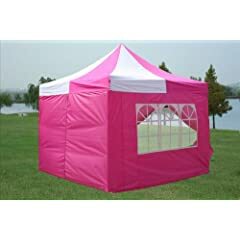 Here is a special selection of them, different sizes, some for adult parties and some for girls play parties.